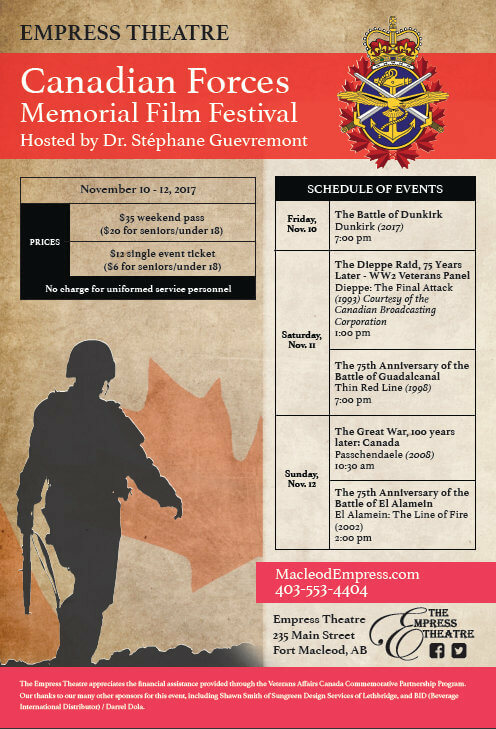 The Empress Theatre is pleased to present the eighth annual Canadian Forces Memorial Film Festival on Nov. 10, 11 and 12 in Fort Macleod, AB. Five military-related films will be shown alongside an on-stage veterans panel discussion and lectures. Dr. Stéphane Guevremont, a military history instructor from Calgary who holds a PhD in Canadian Military Aviation, is the festival’s Master of Ceremonies again this year. Before the screening of each of the festival’s films, Guevremont will provide insight and context on topics from the Battle of Dunkirk to the Dieppe Raid. 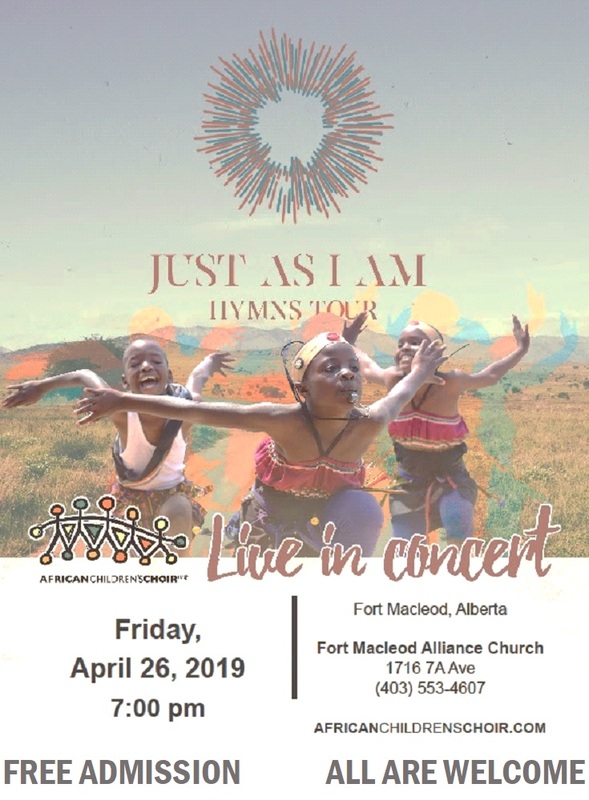 Weekend and single event passes are available now at MacleodEmpress.com or by calling 403-553-4404 (toll-free at 1-800-540-9229). The Empress Theatre appreciates the financial assistance provided through the Veterans Affairs Canada Commemorative Partnership Program and our other generous sponsors. Friday, Nov. 10, 7 p.m.
Film: Dunkirk (2017) – Written, directed and co-produced by Christopher Nolan, this film depicts World War II’s Dunkirk evacuation from three perspectives: land, sea, and air. Saturday, Nov. 11, 1 p.m.
Film: Dieppe: The Final Attack (1993) – Canadian troops were sent to raid the French coast at Dieppe on Aug. 19, 1942 after nearly three years of waiting in England for a chance to fight. But the Germans were ready for them, and the attack became a massacre, with nearly 3,000 Canadian soldiers killed. 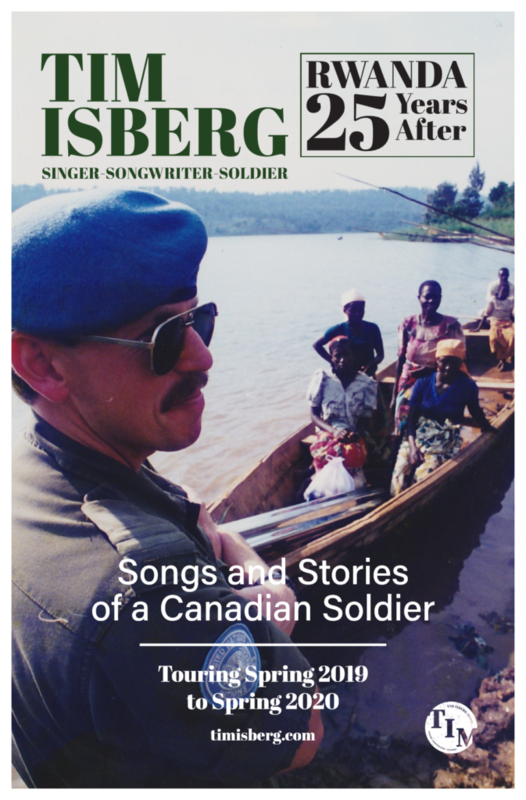 This CBC produced two-part docudrama mini- series shines a light on what is potentially the most controversial battle Canadians have ever fought. This film is shown courtesy of the Canadian Broadcasting Corporation. Saturday, Nov. 11, 7 p.m.
Film: The Thin Red Line (1998) – A fictionalized version of the Battle of Mount Austen, which was part of the Guadalcanal Campaign in the Pacific Theater of World War II. Sunday, Nov. 12, 10:30 a.m.
Film: Passchendaele (2008) – Paul Gross’ story of a WWI soldier wounded in France who returns to Calgary and falls in love with Sarah, a nurse. When Sarah’s younger brother David signs up to fight in Europe, Michael feels compelled to return to Europe to protect him. Michael and David are sent to fight in the third battle of Ypres, a battle against impossible odds, known as Passchendaele. Sunday, Nov. 12, 2 p.m.
Film: El Alamein (2002) – This military drama depicts the many hardships endured by Italian soldiers stationed in Africa during World War II.